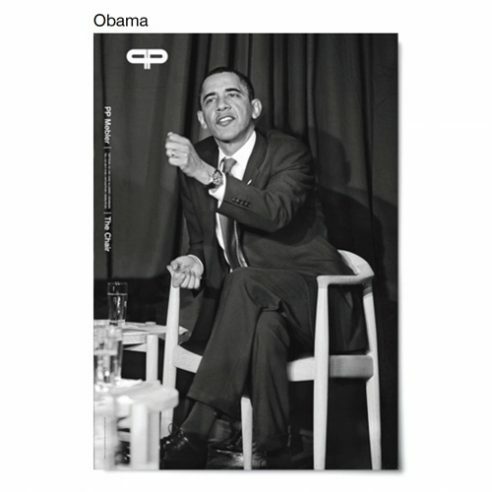 Printed in black and white on art paper an image of President Obama sitting in Hans J. Wegner’s Round chair. As Wegner stated “A chair is only finished when someone sits in it”. Dmitry Medvedev at the Bella Center in Copenhagen on December 18, 2009. The discussion on the settlement of a nuclear arsenal reduction agreement took place on the sidelines of the 12th day of the COP15 UN Climate Change Conference. Obama of course is not the first US President to be photographed sitting in The Chair. In 1960 when John F. Kennedy faced Richard Nixon in the first presidential election debate to be televised on NBC. They sat in “The Chair”.